In the 1980s, as a manager at DARPA, Dr. Barry Leiner helped establish the Internet Activities Board (later called the Internet Architecture Board), which led the effort to set technical standards for the Internet for almost 10 years. Dr. Leiner helped set up the bureaucratic structures that developed Internet communication protocols. He was an author of more than 60 technical publications. He graduated in 1967 from Rensselaer Polytechnic Institute and earned his Ph.D. in electrical engineering from Stanford University in 1973. 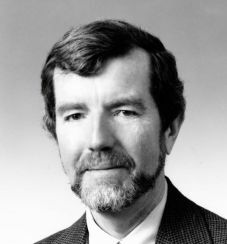 In 1980, he became assistant director of DARPA’s information-processing techniques office and took over management of the Internet research program in 1983. In 1985, he took on the role of assistant director of the NASA Ames Research Center’s Research Institute for Advanced Computer Science. Starting in 1999, he directed that institute, which increased in size from 20 to 45 scientists. He died on April 2, 2003 at age 57.